A large number of private individual clients of Langendorff Tax Consultancy are employees. They have been granted the so-called 30% ruling. Under this ruling, employers can pay out a sum of maximum 30% of their normal salary, tax free. In order to obtain this ruling, certain conditions will need to be met (see later), but overall this is a very attractive and popular arrangement for expats. International school for the children of the employee can also be remunerated tax free. Normally this is treated as taxable salary, but not under the 30% ruling. What is the purposes of this arrangement? The objective is attracting foreign labour force with skills that are scarce on the Dutch labour market. The allowance should cover the expenses that expats incur due to the fact that they have to live in a different country. In addition to the tax free 30% allowance, employees can opt to be treated as “partial non-resident” in their annual Dutch personal income tax return. More information about personal income tax return obligations can be found here (link will be added soon). Choosing for partial non-resident results in additional tax benefits: for certain types of “unearned” income (such as interests, dividends and certain capital gains) this person is treated as if he is not a resident of the Netherlands. In practice, it results in that income being exempt from Dutch personal income tax. However, please be aware that it is not always attractive to choose for partial non-residency (more information to be added later). Americans living outside the US remain subject to US income tax even if they no longer live there. For Americans there is another specific arrangement available reducing the Dutch personal income tax charge even more. A pretty complicated calculation is required but on the basis of this arrangement, income relating to the days worked outside the Netherlands are exempt from Dutch personal income tax. The 30% ruling should apply. Please note that this arrangement does not apply to social security charges. Be advised before applying this additional advantageous rule. The ruling was generally granted for a maximum period of 8 years. However, the Dutch government has announced to reduce this period to 5 years as from 1 January 2019. This change will also apply to those who have been granted the 8 years prior to 2019! More information about these changes to be added later). Especially Americans who are Dutch tax resident and also work outside the Netherlands may be hit hard by these proposed changes. What if a person is granted a net salary arrangement? Even if there is a net salary agreement, it may still be attractive to apply for the 30% ruling. The benefit of the ruling with respect to the salary will effectively benefit the employer only, but the employee may still benefit from the possibility to opt to be treated as partial non-resident (see above). As mentioned above, one of the requirements is that an employment contract is required to obtain the 30% ruling. If a person is a business owner that wants to move to the Netherlands, it could be interesting to set up an incorporated entity (such as a BV which is an entity similar to a Ltd. or an Inc.) and only after set up to be hired by that BV. Conditions will need to be met and whether this is attractive all depends on the factual circumstances. The relationship employer/employee must be based on an employment contract. Free lancers etc. cannot apply for the 30% ruling. Setting up an incorporated entity could work. Employee must come from outside the Netherlands. If a person has lived in the Netherlands before (or within a 150km distance from the Dutch border), specific rules apply but it will basically be more complicated to obtain the ruling. The salary (excluding the allowance) should have a certain minimum level, which is EUR 37,296 (2018 level). This level is EUR 28,350 if the person is younger than 30 years and has a Dutch master degree or equivalent. There is no minimum income requirement if that person will perform scientific research work for qualifying organisations. How can Langendorff Tax Consultancy help you. Like always there are pitfalls. The application procedure can be dealt with by us to minimise the risk not to be granted the ruling. On the basis of a POA we can represent both the employer and the employee. We will advise about the likelihood that the ruling will be granted prior to filing the application. All relating paper work will be dealt with by us. 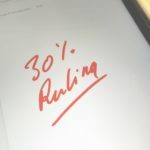 The wording in the labour contract with respect to the 30% ruling is quite specific and should be looked at thoroughly. Also, what happens after the 8 years period (most likely 5 years period as from 2019)? Will the employer compensate the lower income after the 30% ruling ends? How to put that in the contract? The 30% application results in a decision which should normally be positive. If not, we will file objections and take care of discussions with the tax authorities if needed. Filing of tax returns: The 30% tax status may make the tax returns more complex. Especially the migration returns (to be filed when getting into the Netherlands and going out again) are complex, errors are often made and tax refunds may be missed. Moreover, the tax authorities are highly efficiently organised and compliance is therefore very important. We take over that responsibility. Don’t hesitate to call or email us if you have any questions. We are always interested in hearing your story! Next PostDutch 30 percent ruling back to only 5 years! !